Happy Monday! It's been a fashion filled start to the month freshly kicked off by New York Fashion Week. Today's post is a bit inspired by urban chic and the much-loved NYC street style. 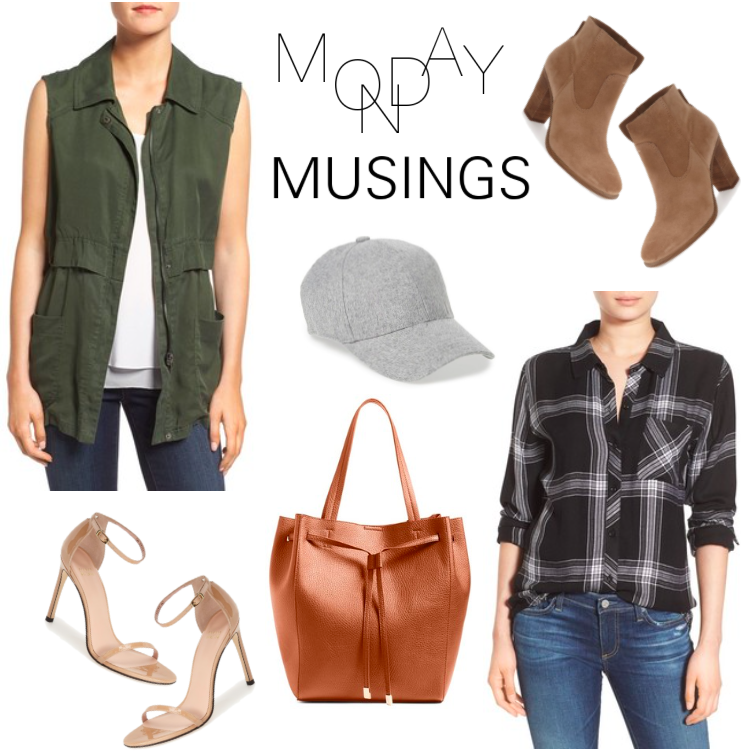 This fatigue cargo vest is so versatile and one of my faves for fall. Easy to pair and perfect for layering, this closet staple is a must-have for now and the weeks to come. Try working it together with a plaid blouse (love this one), these black skinnies and this sandal for the perfect transitional look. 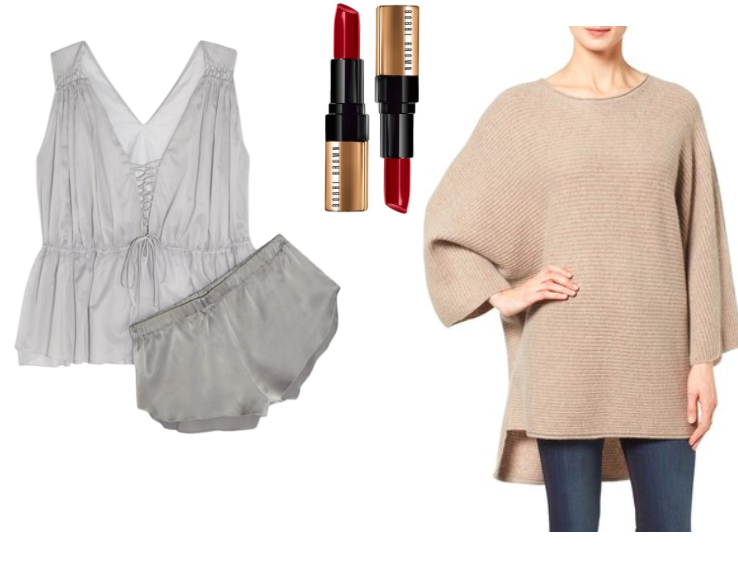 As the temps cool down, I'll be topping my denim love with these ankle boots and this amazing cashmere poncho and a swipe of this rich lip color. When night rolls around I'm also loving this little set under a cozy robe (can't get enough of this one!). Hope these pieces help inspire your "What to Wear" moments for the weeks ahead. Have a beautiful day everyone!